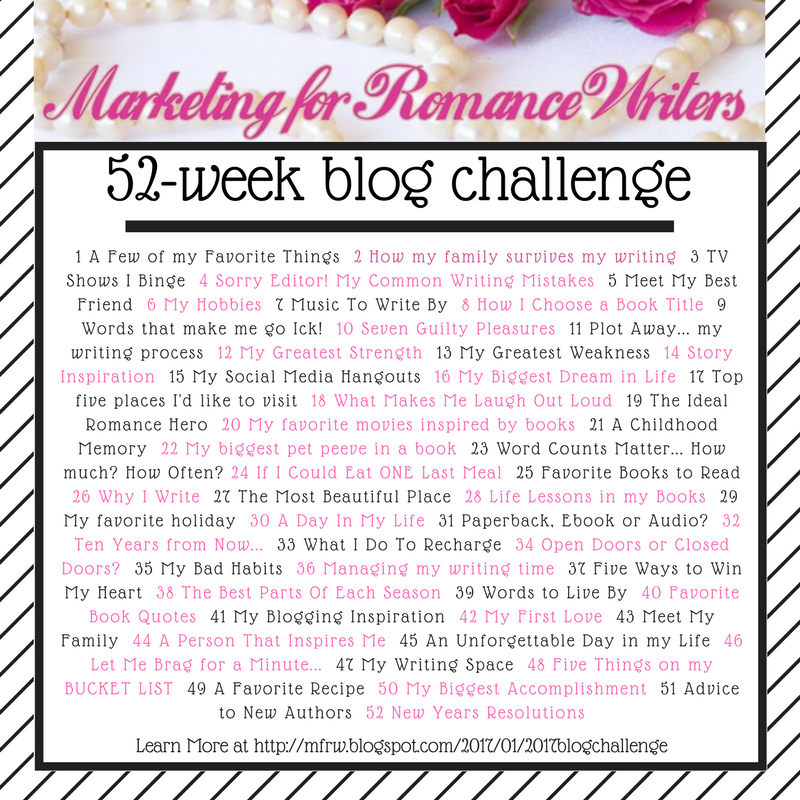 Week 43 – Meet my Pet, MFRW blog Hop. My furbaby, Ginger is a golden chow. That is a golden retriever mixed with a chow. Her mother was a golden, and the father was a red chow. When she came to us, she was a fluffy fat bellied fuzzball with a broken tail. After weeks of deworming, and TLC for her poor little tail, she quickly adapted to being the third puppy in our home. I don’t know what order she was in her own litter, but for a while, she asserted her dominance over our youngest daughter. I began watching to see what was going on, and our youngest would lay on the floor and put Ginger on her tummy and pet her. Well, to a dog that is a sign of submission. It didn’t take but a few weeks for both of them – my daughter and the puppy, to get the order of dominance. Ginger still pushed it a few times, and Hannah was afraid of her when she would growl, or bark to assert herself. To Hannah’s defense, she was just a kid at the time and Ginger seemed like a big dog to her. Now that Hannah towers over me, Ginger only comes to her knees. She is the most lovable, happy, easy going dog I’ve ever had in my life. That’s saying something because when I was growing up we had a St. Bernard, a gentle giant. He was like an overgrown puppy with a sweet disposition. Recently, we had to take Ginger to the vet because she was acting disoriented, drunk, was staggering and falling down. Two days of testing and xrays led the vet to determine that she has a brain tumor. Ginger is 13 years old, her muzzle is grey, and has recently dropped weight from her usual 50ish pounds down to barely 40 pounds. She is a prima donna when it rains, prancing around with an “I don’t like to get my paws wet” tiptoe around the wet grass. She loves peanut butter, she loves her mom – me! In the time we have left with her, we are spoiling her silly with peanut butter and honey sandwiches – by the instruction of the vet because as an old dog, she is showing some signs of low blood sugar at times. Dogs get diabetes too! Her coat isn’t as full as it once was, but then again my hair has thinned this past year as well. Ready for my peanut butter sandwich mom! Fresh straw keeps her paws dry. Ginger loves the snow. She loves to play in it, roll in it! She’s got quite a bit of grey on her muzzle and down her neck now.. LOL- kind of like me – white on top! We will continue to spoil her during the remainder of her time with us. Love my baby!! She helps me with my stress management. And His Name is. . . This post deals with the third factor that we can have control over to improve our odds of not having cancer or having a recurrence. Today my focus is on stress management. I am all ears. I seriously need to learn how to handle stress. Many of the times I get sick it was stress induced. I tend to stuff it down until things are so volatile I explode emotionally. There are numerous things that you can do to relax and unwind. I’m going to share with you the ones suggested to me, and the ones I have found to help reduce stress. Yoga, meditation, Tai Chi, and a daily devotional were at the top of lists of suggestions. My attemps at yoga were not stress reducing. The instructor was good, the moves weren’t beyond a normal person’s range, but with a back injury, any pressure on the lower spine caused pain and all floor moves were a strain. I am interested in trying Tai Chi. I have asked at our local YMCA if they offer it, if not I may look it up on Youtube. I have a daily devotional, and I journal in my bullet journal. I find that by writing down my thoughts in my bujo, I tend to write it down, and not vent to others. This seems to be somewhat calming because as I write it out, I can often think of how to resolve or see that I need to shake it off. Exercise in various forms can be a huge stress releiver. The swim classes that I have been taking are relaxing to me. Walking on a treadmill is not relaxing, but going for a walk at the park is very relaxing. OK, maybe not while I am huffing up that little hill on the backside, but when I am finished and have walked the distance, there is a satisfaction of accomplishment and a soothing effect on the entire body. When I was exercising regularly a few years ago, I would use the elliptical and I participated in a kickboxing class. I really enjoyed the kickboxing, but then they dropped it. I didn’t feel like the elliptical was helping in stress reduction, although it was helping me to achieve better cardiovascular fitness so in effect it really was helping to reduce my stress! A healthy nutritious diet can also reduce stress whereas a high junkfood diet can contribute to additional stress in your body. Adult coloring books. There is something very gratifying about coloring in those little spaces! My husband bought me a couple different types of coloring books, and I recently purchased a coloring book planner. My attention lately has been fully devoted to the planner. If I’m not jotting my to do list, and scheduling apointments, I’m coloring in the margins. The only time this isn’t relaxing is when my eyes are strained, and it becomes aggravating and can actually lead to a headache. A glass of wine. Red wine has many benefits, one of which is to relax you. My oncologist stated that a glass of red wine, three times a week would be beneficial for my health and well being. Three glasses, not three bottles. Some people find fishing relaxing and a way to cope with stress. Others will paint furniture or landscapes. I am going to try my hand at the rock painting and leave them around our area. I’ll take a picture of them once I go find some flat river rocks. Even with all of these options, I have a hard time with stress management. I tend to be one of those people who wears their heart on their sleeve and take things to heart. I get wound up when things don’t go as planned, which is most of the time. I get upset when others don’t do their part. I worry about my kids, where they are what they are doing, whether they are safe. I worry about the cancer – what if it comes back, what if it spreads next time, what if my girls end up with it, what if . . . and then I am so wound up that even the bottle of wine doesn’t help. My sister’s solution is Xanax. I don’t have a prescription to Xanax, but I am wondering how in the world I am going to manage this emotional rollercoaster that I have been on ever since being diagnosed. The medications only contribute more, causing my emotions to be heightened. While you are reading this, I will be practicing my favorite form of relaxation: toes in the sand. What do you do to unwind? How do you manage the daily stress? The emotional stress? What form of stress releif do you practice? I will do everything within my power to never have to go through this again, including changing my lifestyle completely. Write on my friends, write on.